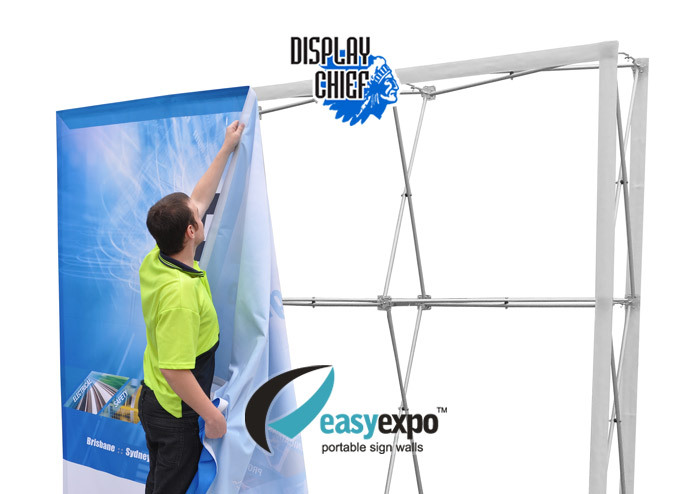 Description The Display Chief Easy Expo pop-up display frame is extremely easy to setup and comes in a compact size. 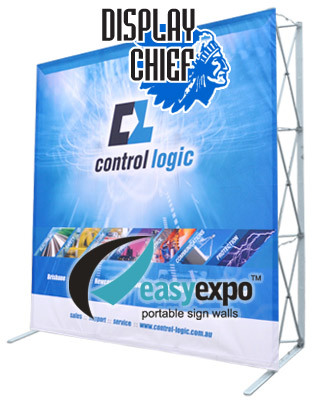 The Easy Expo frame is expandable and collapsable, and is extremely lightweight for portability. Banners attach to the Frame using Velcro. 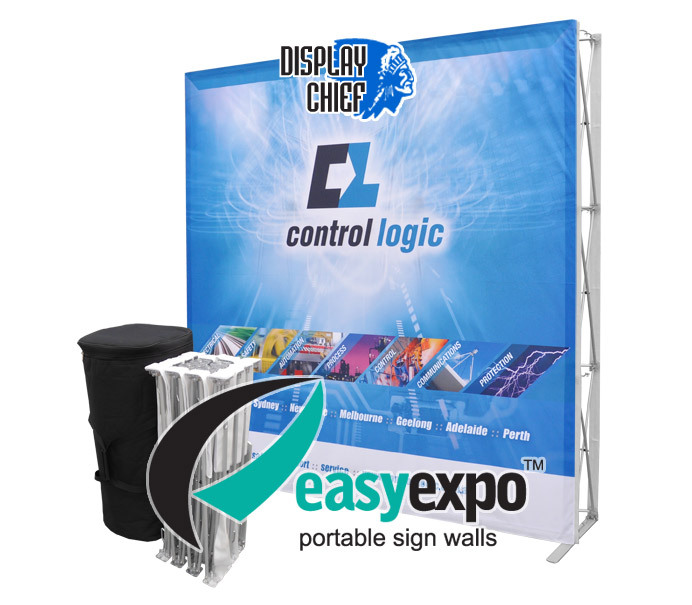 The Easy Expo pop-up wall comes with a carry bag with wheels, making it easy for transportation. The unit once packed comes in at a lightweight 17kg!